Sources also said that Gandhi discussed India and America’s multi-dimensional partnership and strategic engagement. 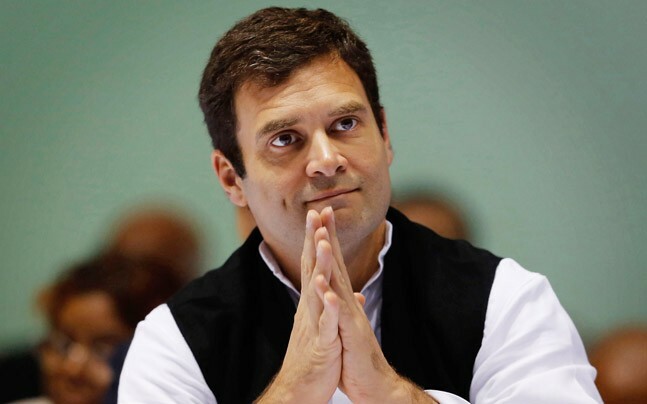 Congress President Rahul Gandhi today met the American ambassador to India and the US’ Acting Assistant Secretary of State for South and Central Asia, and discussed bilateral ties and global issues, including terrorism, sources said. Gandhi met Acting Assistant Secretary of State for South and Central Asia Alice Wells and US envoy Kenneth Juster here and posted a photograph with the two US officials on his Twitter account. “Met acting Assistant Secretary of State for South and Central Asia, Ambassador Alice Wells and US Ambassador to India, Kenneth Juster for a wide-ranging exchange of views on issues of bilateral interest, regional and global affairs,” he tweeted after the meeting. Sources said that shared concerns over terrorism and the challenge it poses were also discussed during the meeting. Gandhi reaffirmed Congress party’s commitment to resist and fight the forces of violence and terror, as also its commitment to promote regional peace and stability, they said. Senior Congress leader Anand Sharma, who was present during the meeting, when asked about it, told PTI, “It was a purposeful exchange of views which were free and frank and embraced issues of shared interests and concerns.” The meeting lasted over half-an-hour, the sources said.